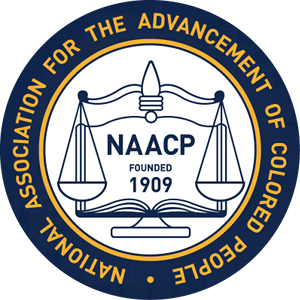 Founded in 1909 in New York City by a group of black and white citizens committed to social justice, the National Association for the Advancement of Colored People (NAACP) is the nation’s largest and strongest civil rights organization. NAACP founders include Ida Wells-Barnett, W.E.B. DuBois, Henry Moscowitz, Mary White Ovington, Oswald Garrison Villard and William English Walling. They answered a clarion “Call” to renew the struggle for civil and political liberty in response to the unrelenting lynching of blacks that were occurring with impunity in 1909. 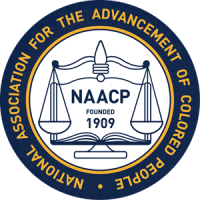 Today the NAACP is a network of more than 2,200 affiliates covering all 50 states, the District of Columbia, Japan and Germany. Headquartered in Baltimore, Maryland, total membership exceeds 500,000. Today the California State NAACP boasts 72 branches and youth units mobilized across the state to help ensure racial justice and equality. 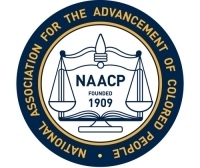 Since its inception, the National Association for the Advancement of Colored People (NAACP) was poised for a long, tumultuous and rewarding history. Although it may be possible to chronicle the challenging and harrowing legacy of the NAACP, the real story of the nation's most significant civil rights organization lies in the hearts and minds of the people who would not stand still while the rights of some of America's darker citizens were denied. From the ballot box to the classroom, dedicated workers, organizers, and leaders forged this great organization and maintained its status as a champion of social justice. They fought long and hard to ensure that the voices of African Americans would be heard. The legacy of those pioneers such as W.E.B DuBois, Thurgood Marshall, and Roy Wilkens, and the hundreds of thousands of nameless faces who worked tirelessly, cannot and must not be forgotten. The history of the NAACP is one of blood, sweat, and tears. From bold investigations of mob brutality, protests of mass murders, segregation, and discrimination, to testify before congressional committees on the vicious tactics used to bar African Americans from the ballot box, it was the talent and tenacity of NAACP members that saved lives and changed many negative aspects of American society. While much of its history is chronicled in books, articles, pamphlets, and magazines, the true movement lies in the faces---black, white, yellow, red, and brown---united to awaken the conscientiousness of a people and a nation. This is the legacy of the NAACP! Founded in 1954, the Ventura County Chapter NAACP mission and vision has been maintained by dedicated men and women and has dramatically changed the lives and landscape of the region while all the while keeping the NAACP alive and relevant. While we have made many accomplishments as an organization and as African America people there is still much to do. The Ventura County NAACP is committed to make the Ventura County the safest place to live in California and a model of community policing, demonstrated by a measurable decrease in crime and a measurable increase in community engagement. The Ventura County NAACP is poised to unite the community to bring about systematic changes with solution based recommendations. The Ventura County NAACP through its mission to bring about justice for all will continue to illuminate the truth, remind us our past and will lead us to our future. We will continue to work in partnership to leverage our community strengths and will take note of past lessons to guide us through.